Many job seekers have been looking for work for many years which can lead to family friction, financial crisis and depression. 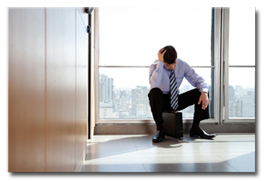 Here are some suggestions for job seekers experiencing these frustrations. Build a support network. It’s easy to become frustrated with the job search if you feel like you are on your own. Partner with people who are looking for work in a similar industry or occupation. This allows you to share resources and information and also allows you to vent some of your frustrations with someone who understands your experience. Plan your work and work your plan. The job search becomes increasingly frustrating when one does not see the results that were expected. By breaking down the job search process into smaller, achievable goals, it becomes easier to see your progress. Find healthy ways to relieve stress. The job search isn’t easy, it’s important to develop mechanisms to manage the resulting stress. Seek out community and mental health resources. Are there not enough jobs in the field that you are targeting? Do you need to update your skills or education to be competitive? Is your resume selling you effectively? Are your interview skills not closing the deal? Are you being too picky on geography, salary, etc. Do you understand your transferable skills and are you marketing them effectively? 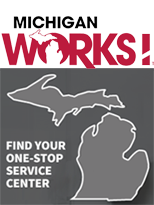 Visit your local Michigan Works! Consider temporary employment to gain new experiences and connections. There are many wonderful staffing and temporary companies in Michigan ready to meet you and connect you to opportunities. View your job search documents (cover letters, resumes, applications, reference lists, thank-you letters, etc.) from the employer’s perspective. Be sure to focus on how you can help the company, not what you can gain from being employed. Your source for recent employment trends, wages, detailed industries, and jobs in demand.